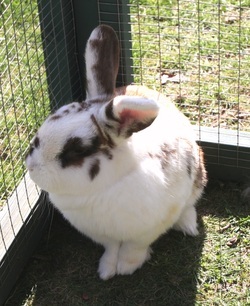 Freckles is a young male, approximately 2 years old, who was brought in by the Inspector when he was found running free with Ailsa. 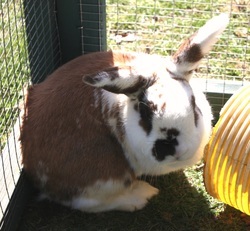 He is very friendly but needs to be handled regularly and is looking for a new home with a companion. He has lovely reddish brown fur on his back with freckles on his face - hence the name! !